"With respect to the amount of compensation to be given to them, considering the difficulty and personal danger frequently attending a discharge of their duty, as well as the importance of it o the public, your committee respectfully recommend that the several Constables and Marshal assigned to attend the Police Office (in the watch-room in the New City Hall), be allowed the sum of $2 for every twelve hours they shall be employed in that duty on special occasions, and by direction of anyone of the Special Justices in the day time, and the additional sum of $1 for every twelve hours they shall be employed in the night time, and in that proportion for any longer or short time; and that the accounts be presented hereafter in the name of the High Constable, and certified to by the Special Justices." 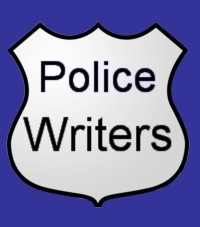 Martin A. Gonzalez is a member of the Public Safety Writer’s Association, a graduate of SUNY Empire State, and a Navy veteran. He was born and raised in New York , and a retired New York City Police Department police officer. Martin Gonzalez is the author of WereWolves Among Us.